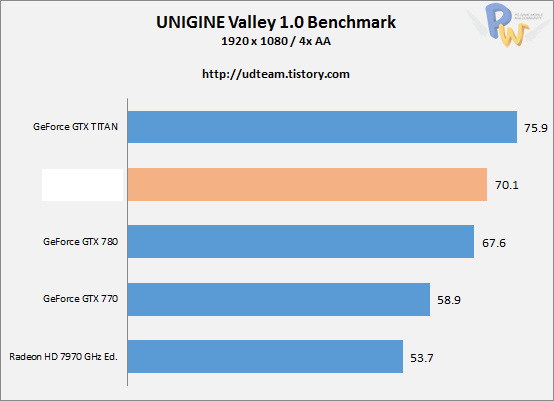 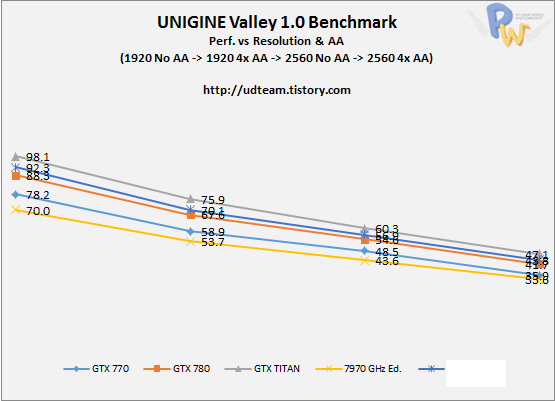 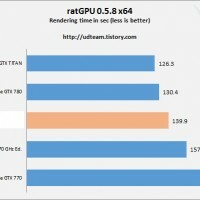 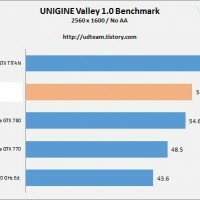 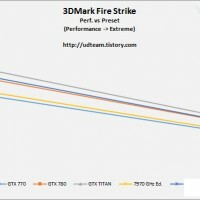 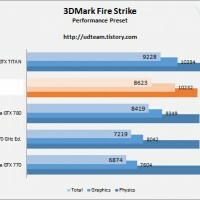 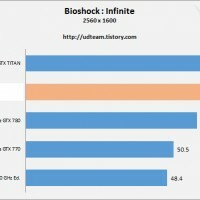 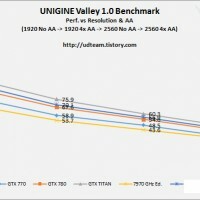 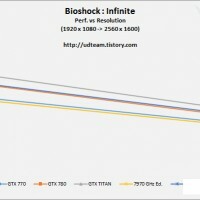 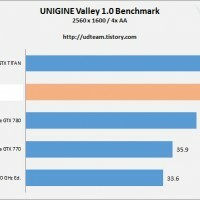 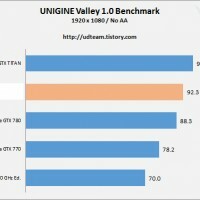 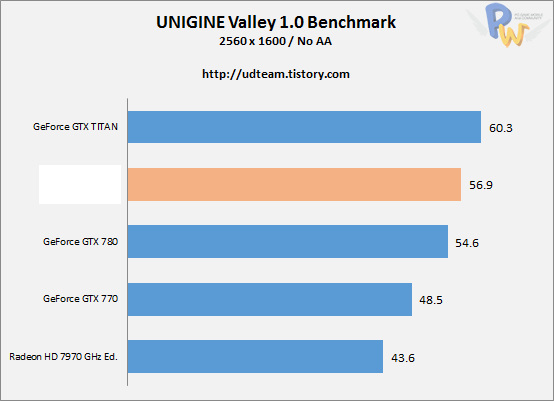 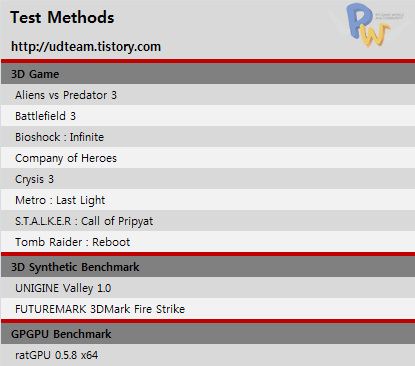 First benchmarks results have emerged on Chiphell EDIT: it was actually udteam.tistory website. 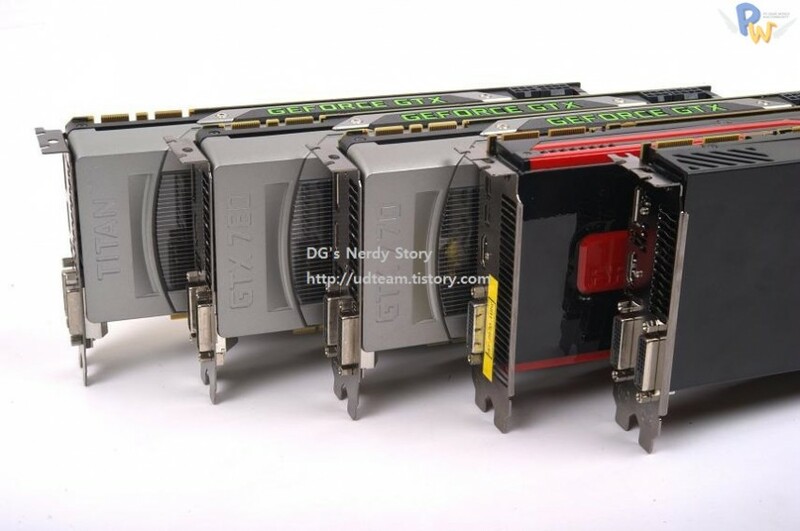 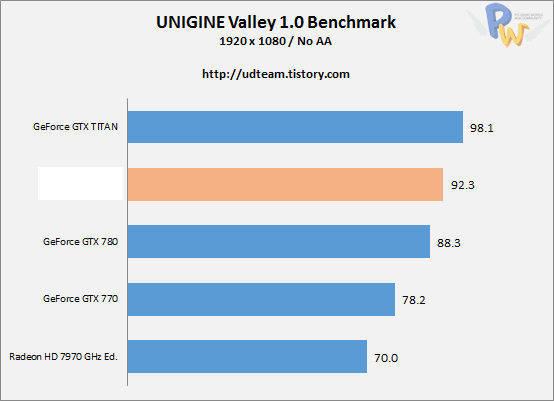 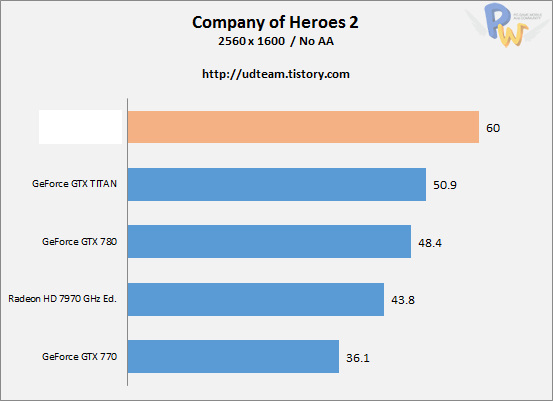 The new AMD Radeon flagship is supposedly faster than both GeForce GTX 780 GeForce GTX TITAN in multiple games. 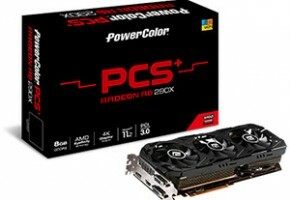 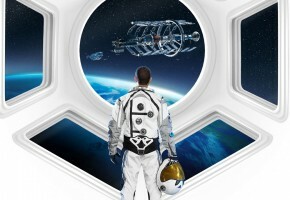 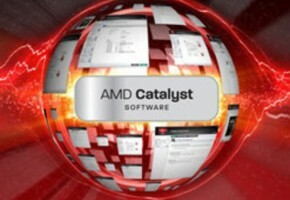 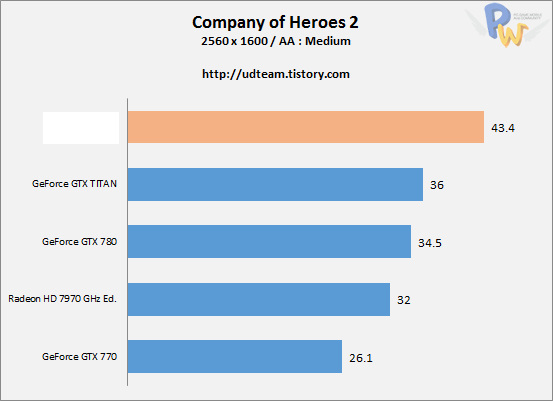 AMD Radeon R9 290X based on Hawaii silicon will be the fastest single-gpu graphics card in terms of gaming performance. At least that’s what the benchmark results tell us. 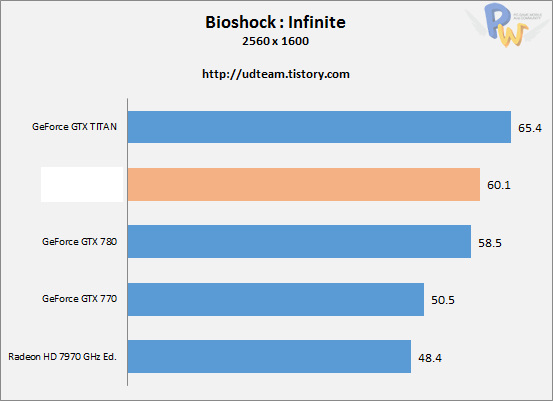 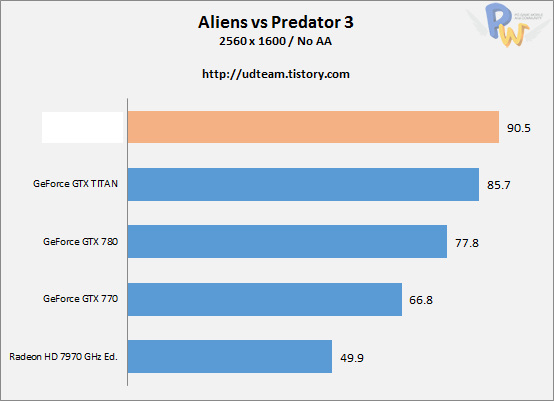 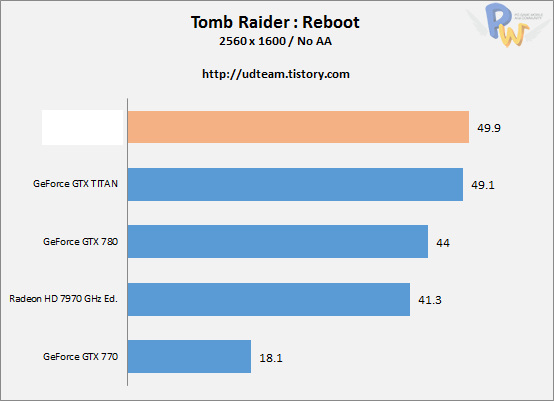 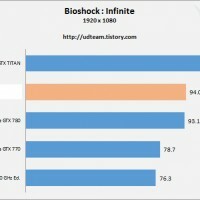 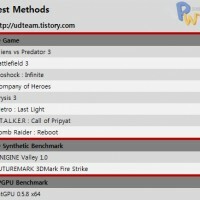 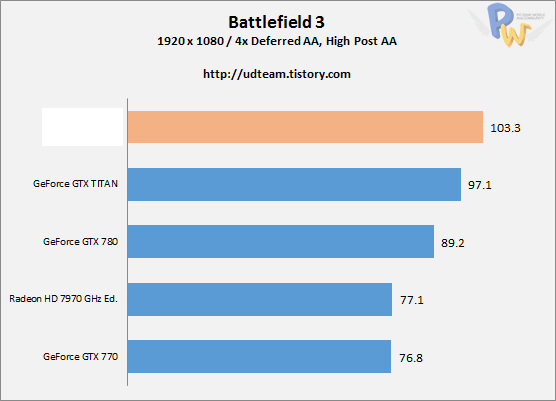 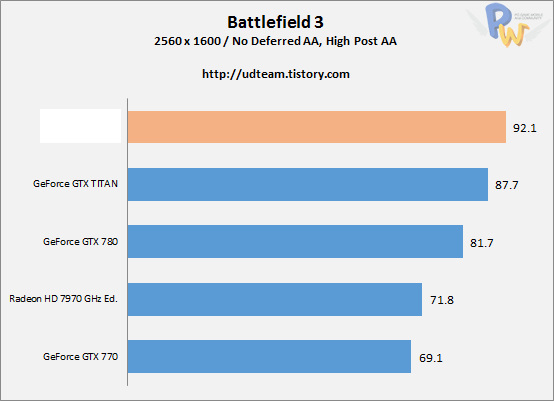 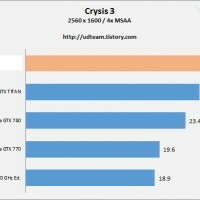 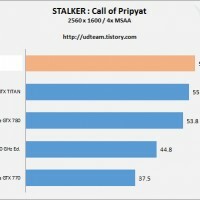 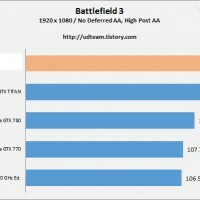 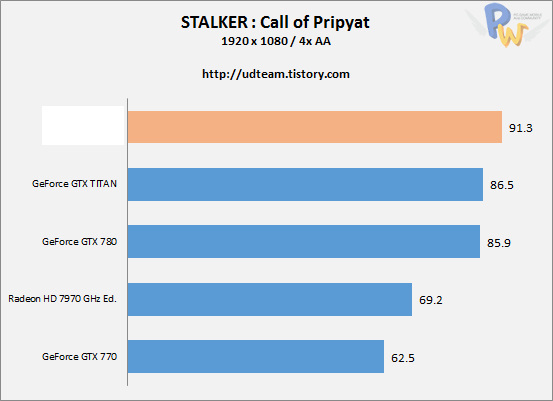 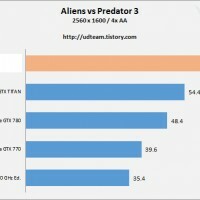 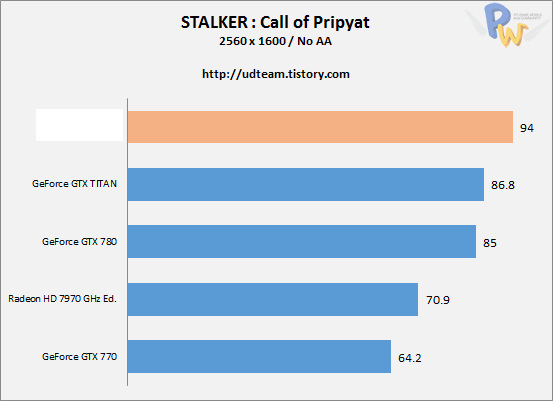 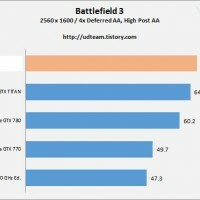 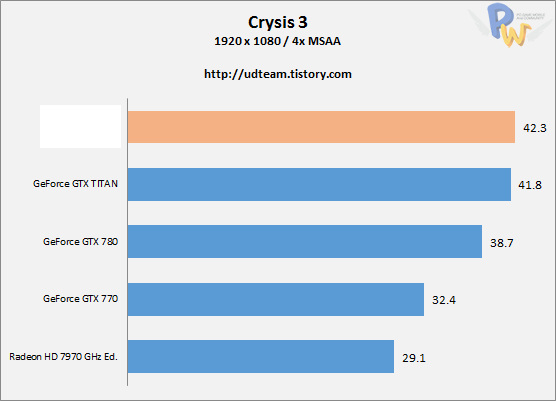 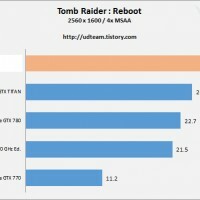 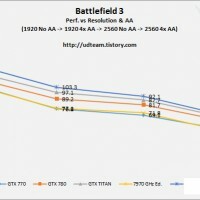 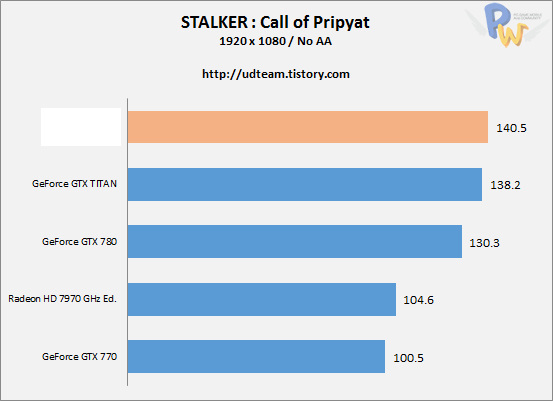 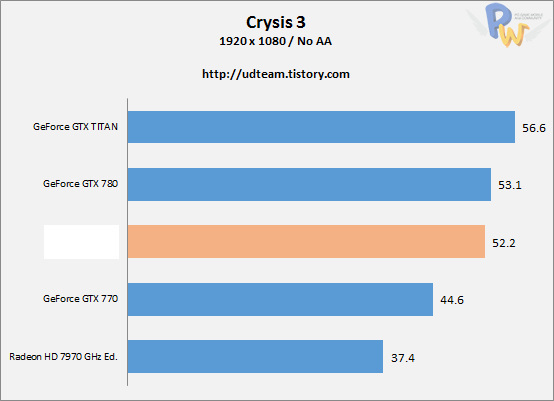 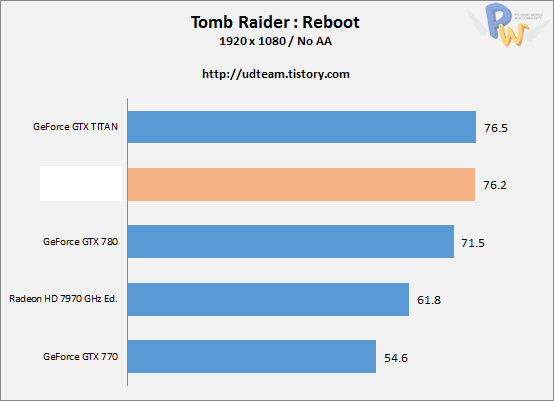 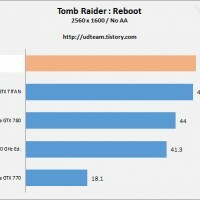 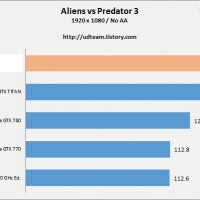 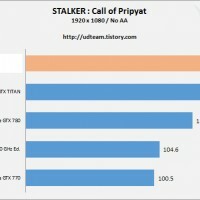 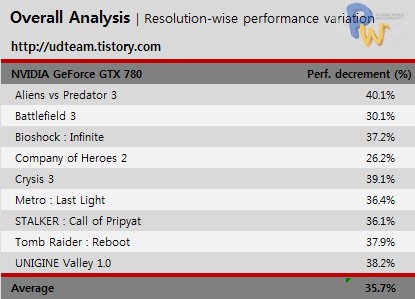 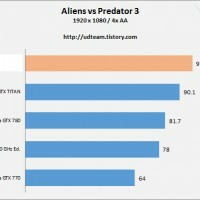 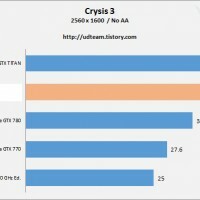 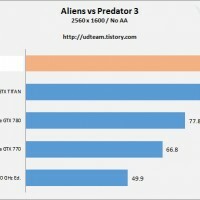 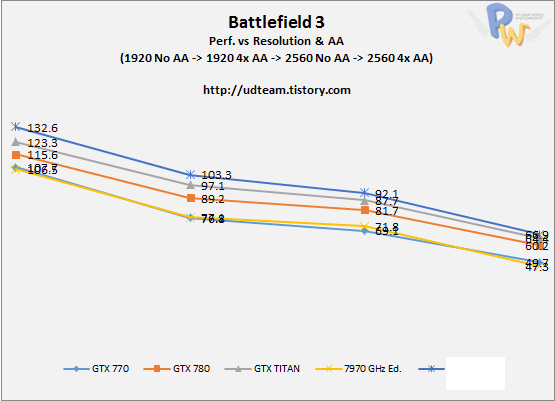 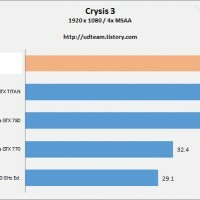 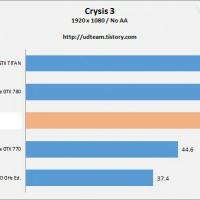 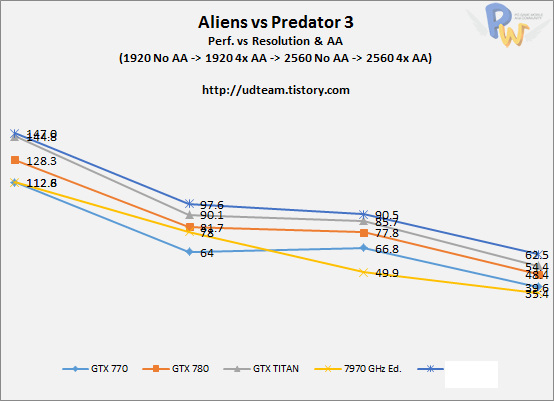 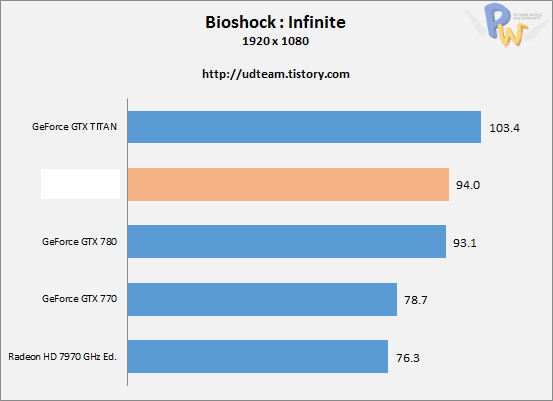 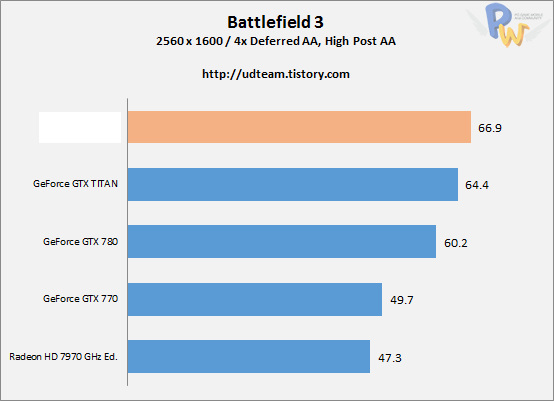 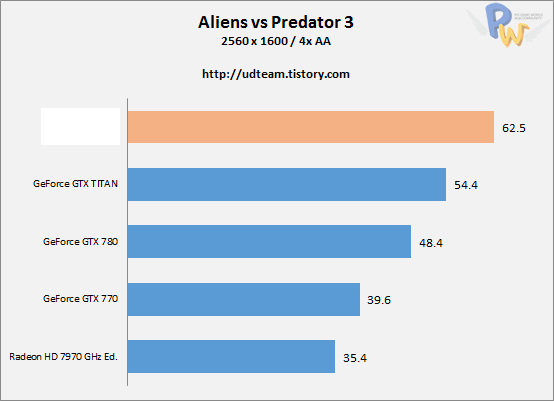 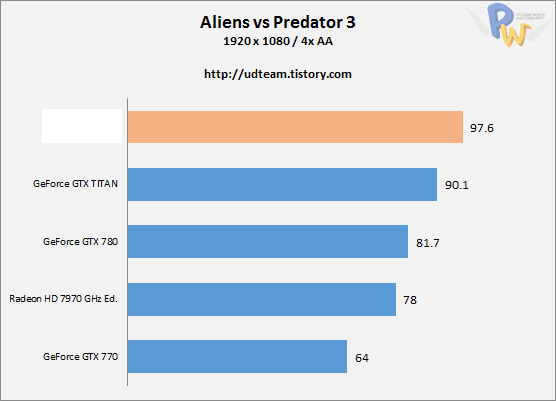 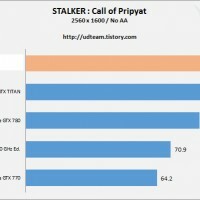 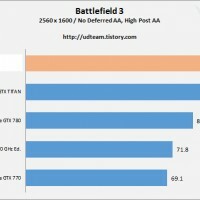 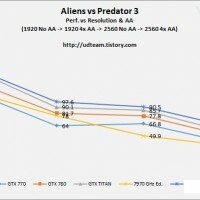 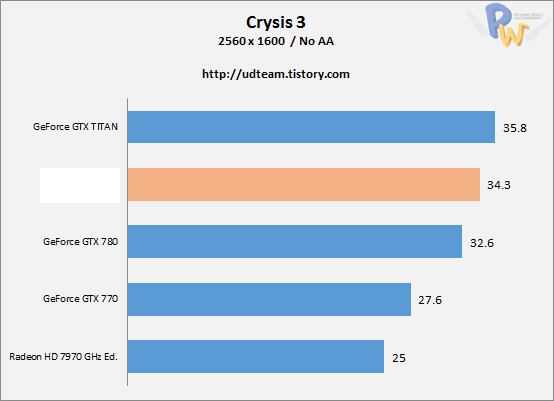 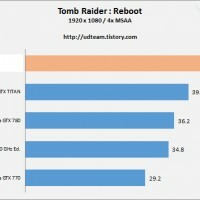 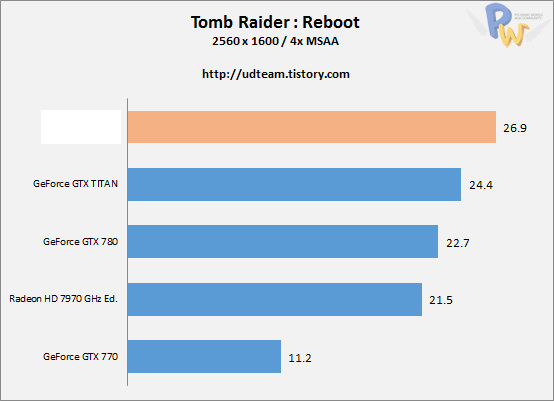 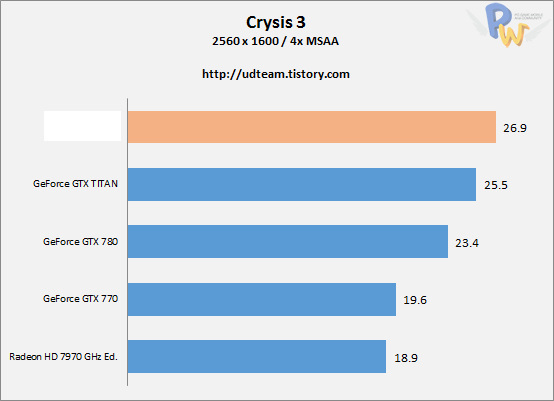 Test performed with Aliens vs Predator 3, Battlefield 3 and Crysis 3 leave GeForce GTX series in behind. 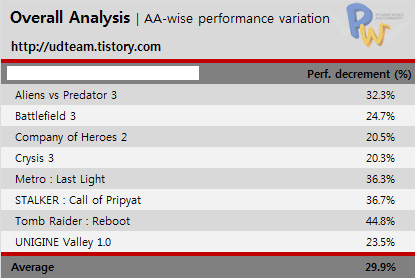 In Crysis 3 the battle is more or less tied, but we can clearly see much better performance with 4x anti-aliasing enabled, probably due to wider memory bus. 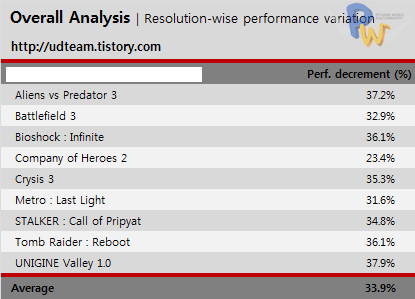 EDIT: more games added. 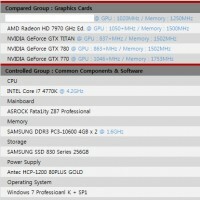 The leaker claims that his sample could run at 1020 MHz core clock and 1250 MHz memory clock. That would be the peak performance for the new Radeon (we don’t know yet if this is the reference clock). 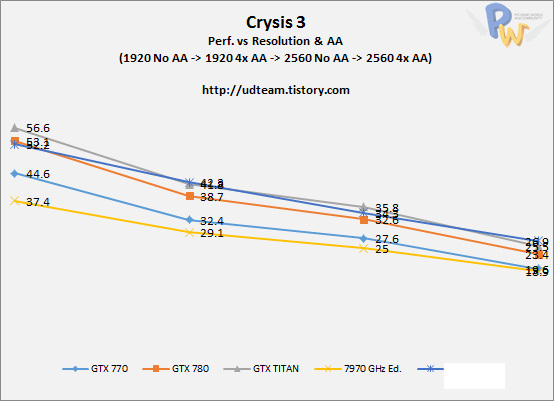 You may think that 1250 MHz clock for the memory is not very high, but that’s due to wider memory bus. 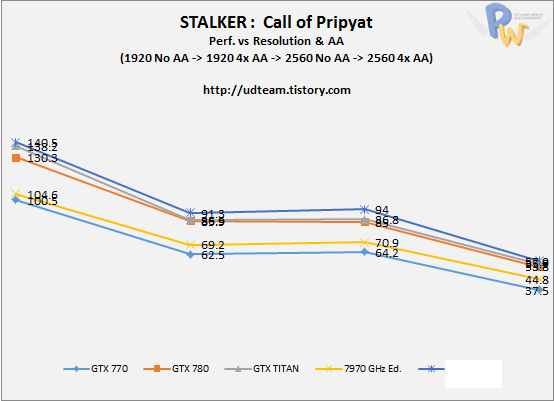 This is in fact 5Ghz effectives peed with a bandwidth of 320 GB/s. The Radeon R9 290X will operate at lower clock (something between 800 to 900 MHz), It has dual-BIOS feature for a reason. 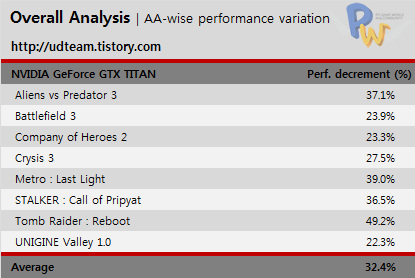 Some actually call it Turbo mode. 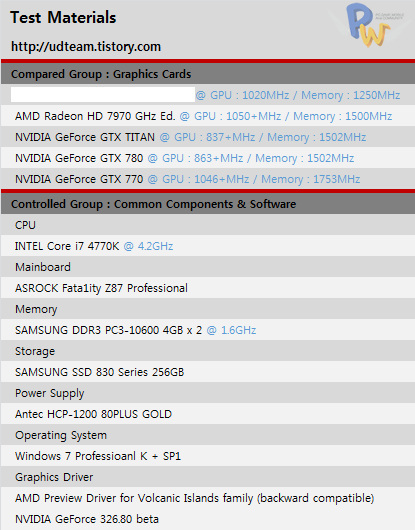 With this feature enable the card will go much higher (near 1 GHz in boost mode), but this will significantly increase the TDP. 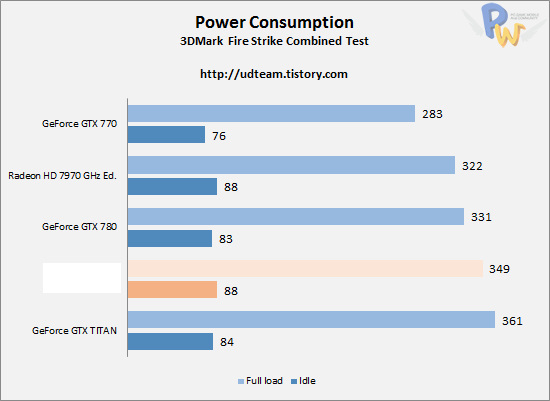 Speaking of power consumption, the leaker also posted his results in this field. 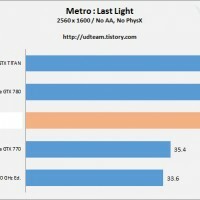 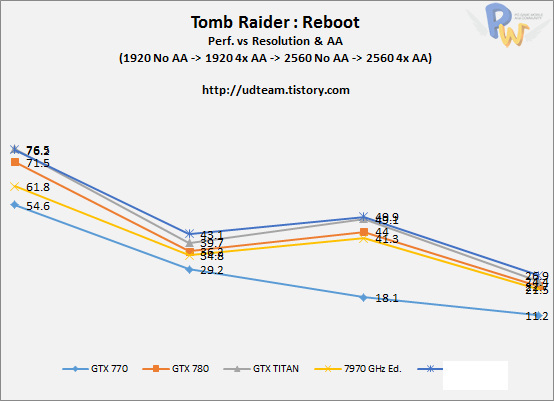 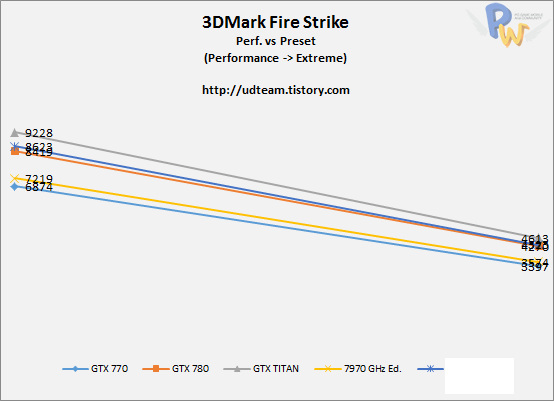 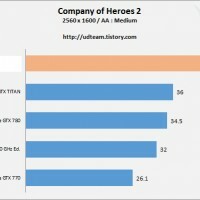 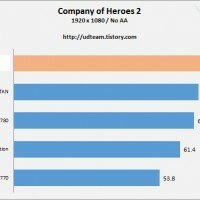 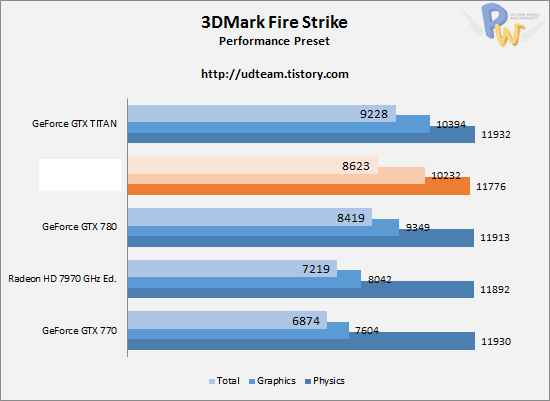 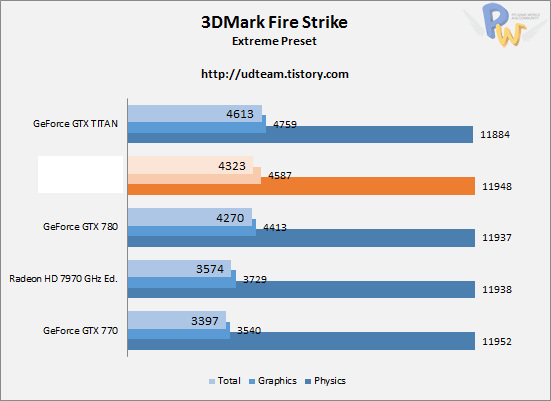 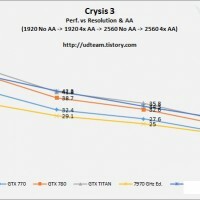 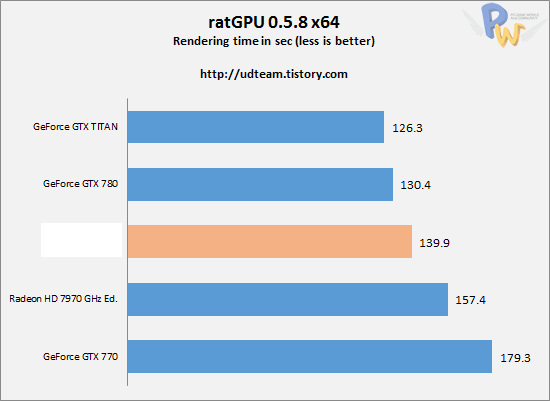 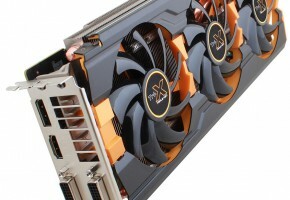 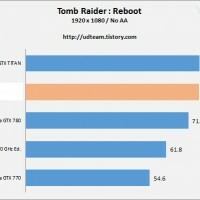 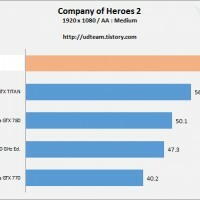 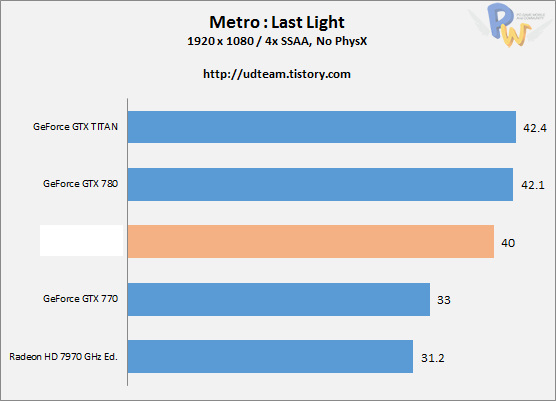 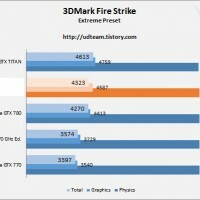 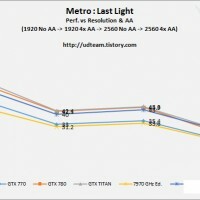 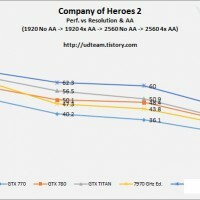 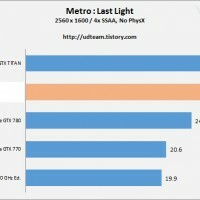 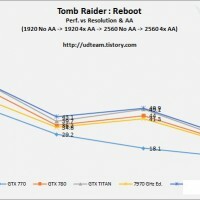 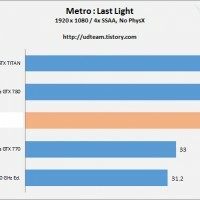 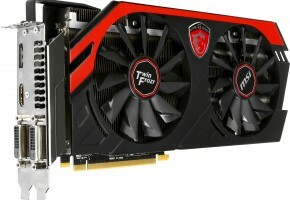 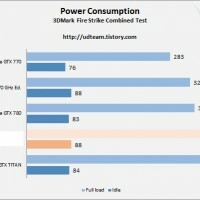 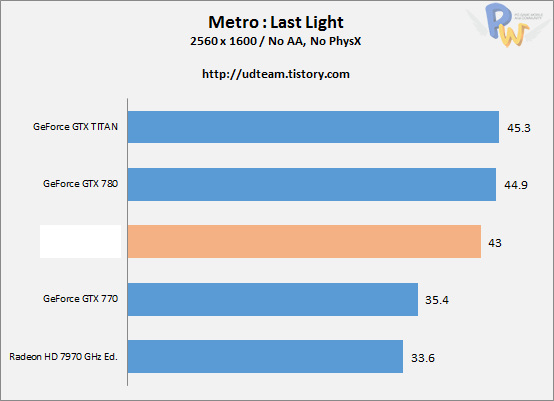 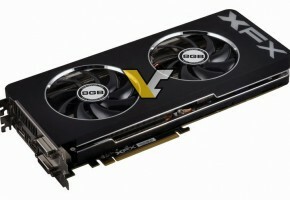 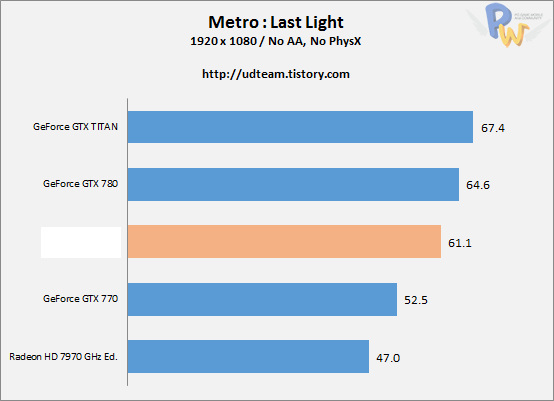 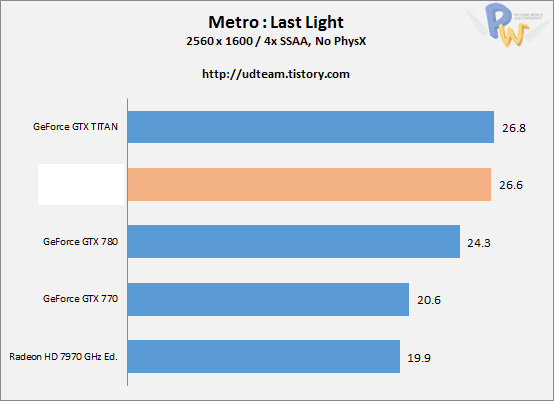 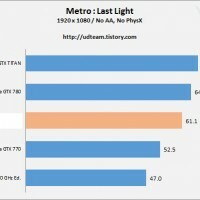 Supposedly AMD Radeon R9 290X would consume less power than GTX TITAN (357W vs 372W). 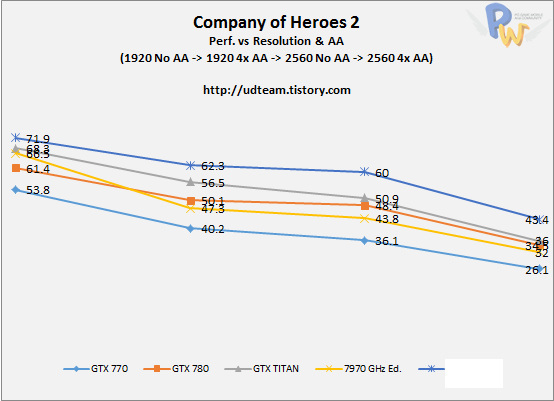 EDIT: Since we actually found the original source and thus charts, I suggest you take a look at them and see how each card performs. 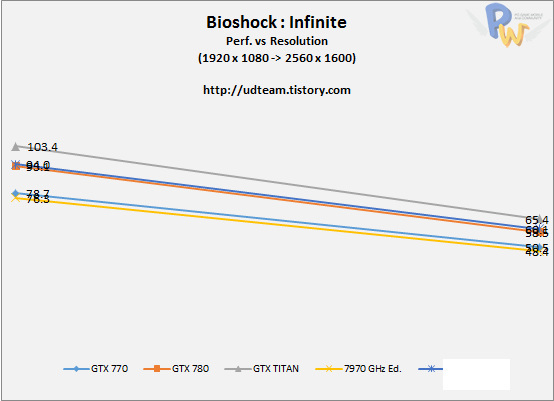 UPDATE: I changed pictures to the original source. 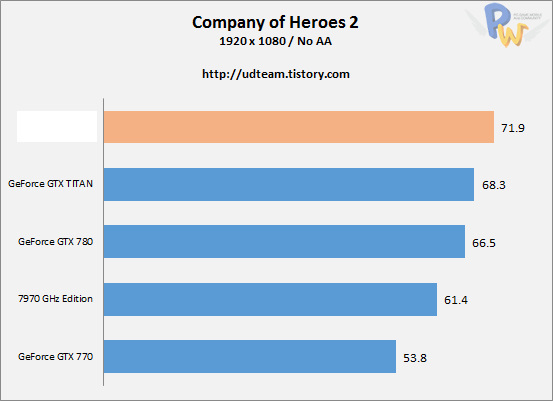 We have plenty of charts.